Few things in a footy fanatic’s life compare to the excitement and anticipation of opening round. For those who enjoy the AFLW, it has been a welcome entrée prior to main course. But for others, there’s only so many times you can watch classic games of the 90s on Fox Footy, or the same final replay on DVD. 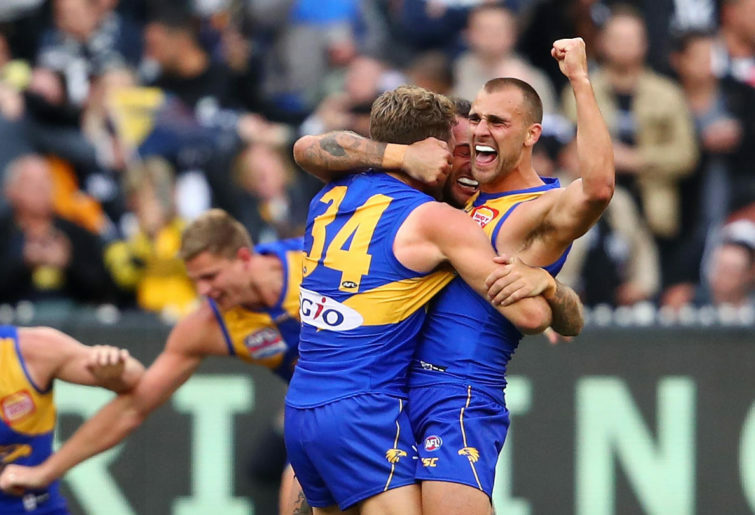 For West Coast Eagles supporters, it’s been a sweet summer. I am sure those premiership season box sets are getting a good workout, no DVD more tired than the 120 minutes of the last Saturday in September. While Collingwood fans may say otherwise, the 2018 grand final was nothing short of sensational and the Eagles were well-deserved winners. The club went on a ten-game winning streak (four of those away from home), were the only team to go undefeated in a season at the MCG, and they came from five goals down in a grand final to win the fourth premiership in the club’s history. So how does the AFL repay them? A Round 1 fixture against Brisbane at the Gabba. There’s no nice way to say this. The AFL really stuffed that one up. No disrespect to the Lions, or to the state of Queensland but the reigning premiers deserve a better Round 1 stage than to play a team that hasn’t finished higher than 12th in almost a decade in a state where AFL traditionally takes a backseat to league. To add further insult, the game won’t be broadcast on free-to-air outside of Western Australia and QLD. This isn’t the first time the reigning premiers have been snubbed in Round 1 the following season, however it is a pretty rare occurrence. Over the last ten years, only two reigning premiers have played Round 1 the following year interstate. After winning the 2011 premiership, Geelong played Freo at Domain Stadium in their first appearance the next year. The other was Hawthorn but with a twist. They played the Lions at Launceston in Round 1, 2014. Away from Victoria? Yes. Away from home? No. Collingwood (2010 premiers) and Sydney (2012 premiers) also played ‘away from home’ in Round 1 the following year, but by that I mean Collingwood played at Marvel (then Etihad) and Sydney at ANZ. Not quite the same. This actually isn’t the first time in recent history this has happened to West Coast but it’s certainly crueller and way more bizarre. After winning the 2006 premiership, there was a grand final replay in Round 1, 2007 at ANZ Stadium. While away from home, it was certainly a mouth-watering match up. So what should the fixture have been? I’m going to rule out Optus Stadium here. West Coast opened the season at home in 2018 so naturally Fremantle deserves the call up this season, but there were certainly better options than Queensland. The MCG would’ve been my pick for venue and one of Collingwood or Essendon the opponent. 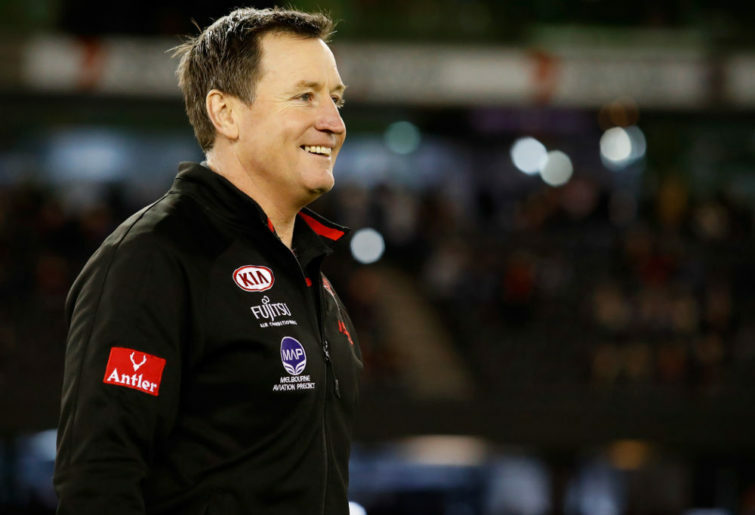 Collingwood for obvious reasons and Essendon for the fact they have been touted as ‘the team on the rise’ in 2019 so why not put them to the test straight up against the benchmark? Before anyone shoots me down for ‘Vic bias’, let me make one thing clear. I’ve suggested the MCG for the fact that, whether anyone likes it or not, it’s still the home of the AFL and aside from the territorial fixtures (such as the Showdown and the Derby), it still hosts the biggest games of the year. With Optus Stadium unavailable, it would be fitting to showcase the 2019 Eagles at the ground they won the premiership six months earlier. Instead, Collingwood will play Geelong, Essendon will play GWS and West Coast will play Brisbane. To me, a grand final replay on the Friday night of Round 1 is an excellent way to kick off the new season. If the AFL is determined not to re-fixture its marquee matches, then find another way to honour the reigning premiers that doesn’t involve them flying to the other side of the country and play against a crowd no bigger than 20,000 in a game that won’t be available on free-to-air to most of the country. But instead, the Eagles will take on Brisbane at the Gabba in Round 1. The only positive? They’ll most likely start this season the way they ended the last – victorious.